For the treatment of wood floors, which require speed, the processor can now also process the "OLI-NATURA HS Professional Oil" and the solvent-free OLI-NATURA Hardener additive in addition to the "OLI-NATURA HS Hard Wax Oil". 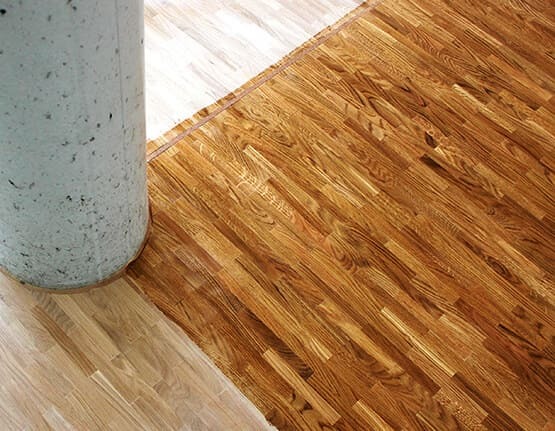 The wooden floor treated in this way is fully cured within one day. „WHEN carrying out basic treatment on wooden floors or stairs in schools, meeting halls or hotels, there is often an emphasis on speed, so that the loss of use is kept low as possible“, said managing director Götz Schubert of Oli Lacke GmbH. „Therefore, we offer an optional hardener for the heavy-duty high-solid oils & waxes, which significantly shortens the hardening time and increases the chemical resistance once again.“ The surface treated in this way is completely hardened within one day. 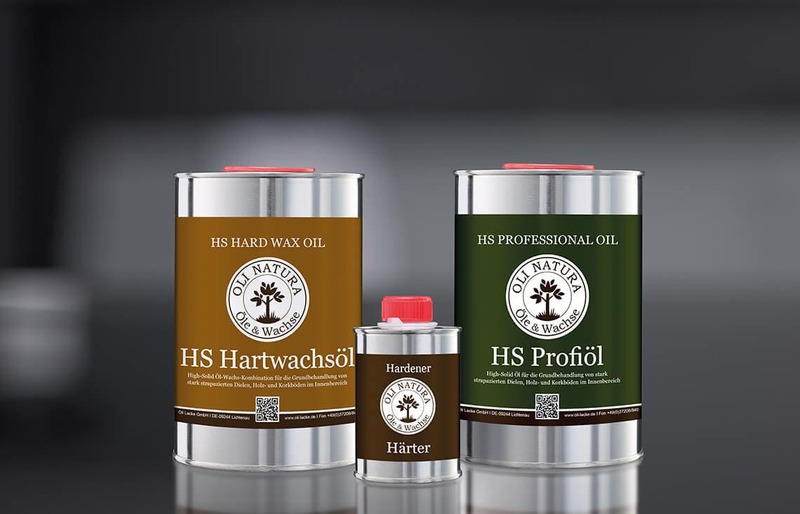 The expert can mix the OLI-NATURA Hardener with the OLI-NATURA HS Hard Wax Oil or OLI-NATURA HS Professional Oil in the ratio 10:1 shortly before use. The surface treated in this way is fully resilient again within 24 hours with optimum humidity and room temperature. Therefore, even with a single coat, it is possible to achieve an excellent level of resistance to the accumulation of dirt and aggressive liquids. Moreover, the two high-solid oils meet the highest standards of efficiency with a yield of up to 50 m²/l. The transparent OLI-NATURA HS Hard Wax Oil gives the wood a natural and colour-enhancing appearance. The OLI-NATURA HS Professional Oils are offered both in natural and in transparent colours. The colour palette ranges from black through various shades of grey to polar white. OLI-NATURA Hardener are solvent-free, free of labeling and available in 100 ml and 300 ml. Get all news by email. Relevant processing instructions and object reports. 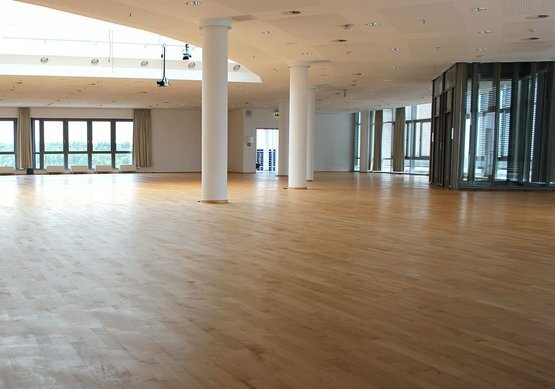 Students will be able to relax here: The modern Goethe music school building in Schwerin will soon have a spacious dining hall and additional music rooms. Students will benefit from a light-filled interior and open space concept. The rooms receive their natural charisma primarily from the use of the wood. The solid oak parquet flooring, protected by highly resistant OLI-NATURA 2K-HS Hard Wax Oil, impresses immediately upon entering. Rest, work, relax, read, socialise, or have a snack: how guests are free to choose how to use their time in the VIP lounge at fair Erfurt. But they can now do so while enjoying the newly refurbished hardwood floors. The 700 square meters of maple floors have just been refinished with OLI-NATURA HS hard wax oil.